The MXD-100™ Corner Swabs™ have been tailored specifically to remove dust build up in those «hard to reach» areas. Compatible with our full arsenal of wet cleaning solutions, these swabs were specifically fabricated for cleaning the corners. Cleaning your sensor has never been easier with the Ultra MXD-100™ Corner Swabs™. 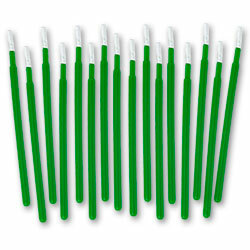 16 swabs per packIn stock! Order now!